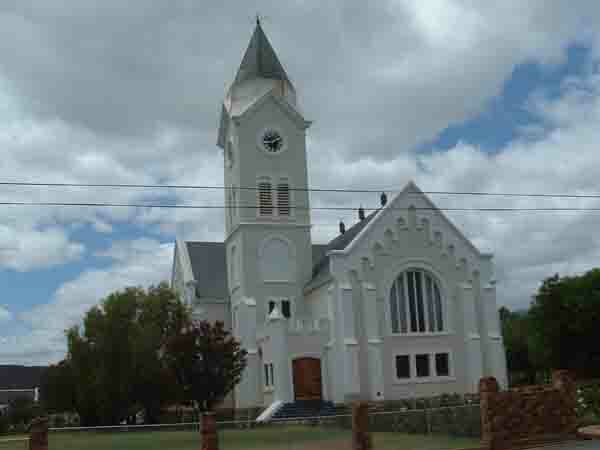 Mc Gregor is a small village at the foot of the Riviersonderend mountains with its nearest neighbour being Robertson about 20 kilometres away. In earlier times before the village was formed the San used to travel through the area on foot making their way to the sea. 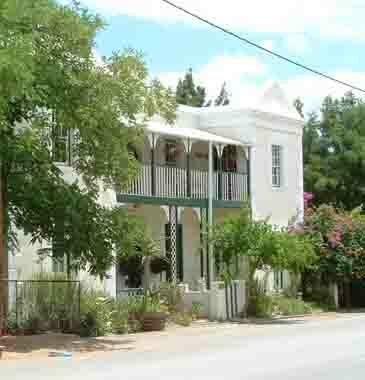 Situated on the edge of the Little Karoo the village has a similar climate to that of the Karoo. Summers are hot and winters can get cold especially when snow falls on the surrounding hills. The land in the area is good for farming and in the early 1700's this fact lead to people migrating into the area to farm. When South Africa was being colonised the Dutch people were very religious and every where they established a village a church was normally built. In fact it was normally the other way around as a church was established in an area and the village grew up around it. In the early 1800's as people moved out of Cape Town into the interior of South Africa there were no churches to attend. The farmers then used to gather in a village where a visiting preacher was preaching to attend his services and enjoy a communion service. As time passed services in certain villages became more regular and farmers built themselves houses in the village where they could stay while attending church services. These houses became known as “ Nagmaal houses” (Nagmaal being communion) Mc Gregor became one of the villages where the farmers gathered and today one of the Nagmaal houses named “Die Trein” is still in existence in the village.. When the village of Mc Gregor was officially proclaimed in 1862 the land in the village was divided up into 2.5 hectare plots and sold by auction to 19 smallholders and farmers. To influence sales the auctioneers when advertising the plots for sale stated on their posters that the main road to Cape Town from the north would probably pass through the village. The road never materialised so Mc Gregor has always remained on the outskirts of civilisation. 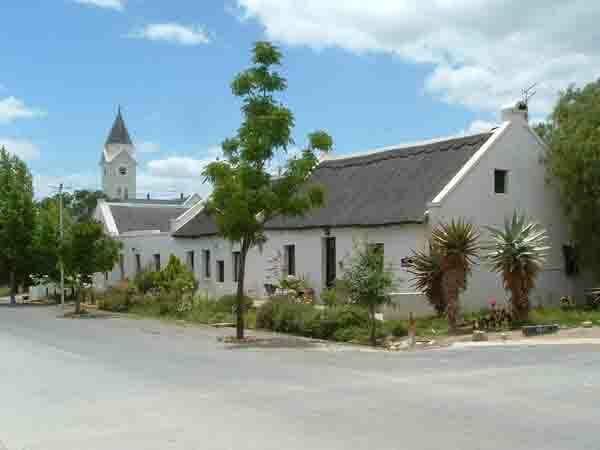 When the village was first established it was known as Lady Grey, being named after the estranged wife of Sir George Grey a British governor to the Cape. The name Lady Grey caused much confusion to the post office and the authorities of the Cape as there was another town situated in the Eastern Cape also named Lady Grey. Fortunately for the authorities in 1904 the congregation of the newly built Dutch Reformed Church decided to name their new parish after their beloved minister the Rev. Andrew McGregor who had retired after 40 years service to the community. The village then became known as Mc Gregor. In 1906 the authorities decided to accept the new name and officially changed it to Mc Gregor thus solving the problem that had arisen with two towns having the same name. Today a 100 years later the village still stands and many of its historical buildings are still to be seen. To perpetuate the historical building styles that were used in the early years of construction an aesthetics committee has been set up by the Local Authorities to draw up building guidelines for future construction. The village however has not changed much over the years and the old water system of stone canals along the streets is still used today supply to households with water for their gardens. Drinking water is piped to homes. A 19th century village dreaming away in a quiet valley at the end of a road going nowhere. Here the rush and bustle of the city seems far far away. Mc Gregor, a village lost in time, a place for reflection, a place for healing and a place once visited you may never want to leave.